Footage captured by Michael Fujiwara of Vancouver, Canada, shows the terrifying moment a young girl was pulled into the water near Richmond, British Columbia, on Saturday. The video shows a sea lion slowly circling the area before it lunges for the girl, nipping at her dress and pulling her into the water. A family member immediately dives into the water, pulling the girl to saftey. “A young girl came around with her family and they just started to feed it bread crumbs. They were getting a little too close to it, for sure." Fujiwara went on to describe the aftermath. 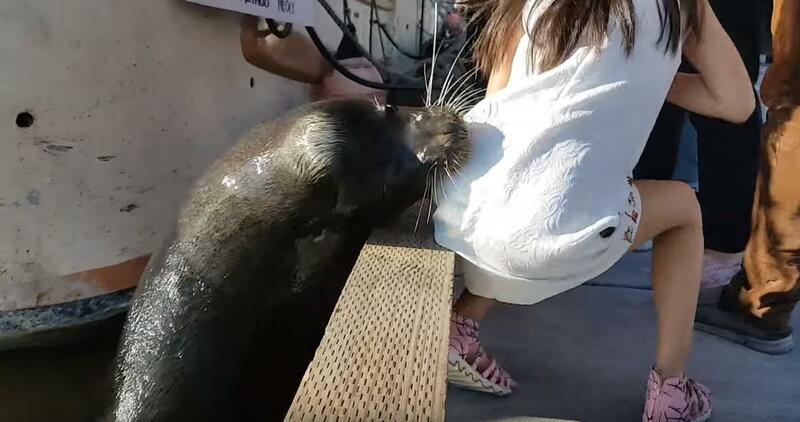 Professor Andrew Trites, the director of the marine mammal research unit at the University of British Columbia, explained to CBC News that the sea lion probably thought the girl's dress was food.